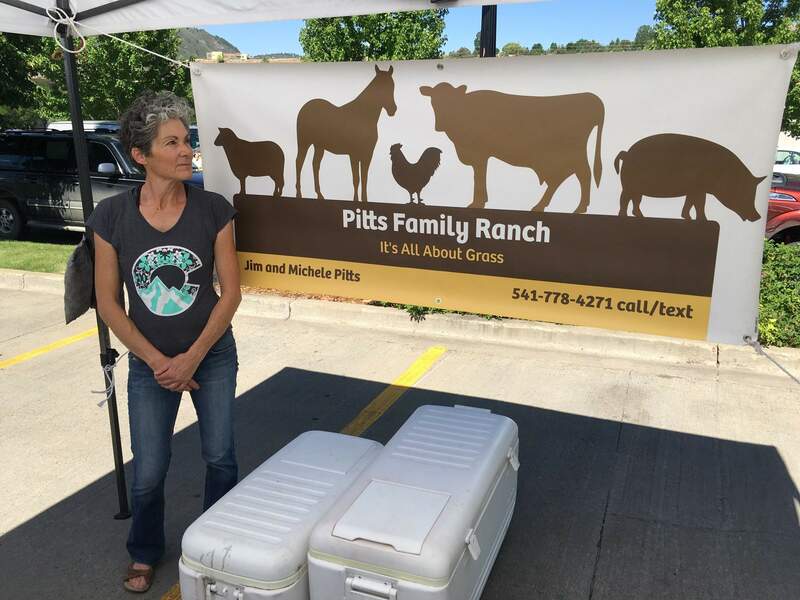 Michelle Pitts of the Pitts Family Ranch sells milk, beef, pork, lamb and eggs at the Durango Farmers Market. Michele Pitts spent her childhood in Durango. When she had an opportunity to return to the Four Corners four years ago, she jumped at it. Pitts and her husband, Jim, founded Pitts Family Ranch four years ago in Cortez. “We chose Cortez for the grass and the pastures and the agricultural land,” she said. The ranch is 50 acres, though the couple just purchased another 80. They hope the additional land will help expand the amount of raw milk, beef, pork lamb and eggs they sell. The couple also has more than 1,000 apple trees, which the ranch will plan to market. Their main problem is finding labor to pick the apples. The couple doesn’t spray on their property and tries to practice regenerative farming to improve the health of the soil. They also don’t medicate their animals unless they absolutely have to be medicated. The couple lets all their animals graze together in a process called inter-species pasturing.